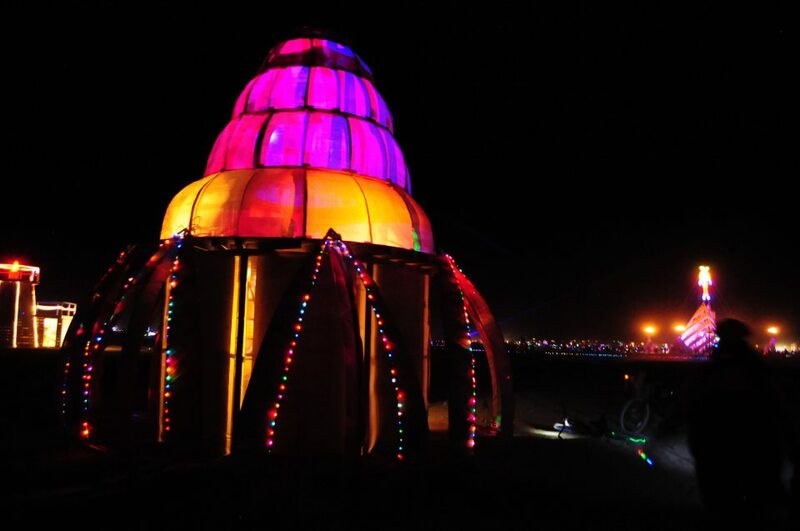 The Circle of Regional Effigies (CORE) is a massive collaborative art installation at Burning Man comprised of a ring of effigies that surround the Man created by Burning Man Regional groups from around the world. CORE teams work together throughout the Spring and Summer to create art that celebrates their Regional identities and showcases the collaborative artistic efforts of their community members. The effigies are not the work of one artist, but the brainchild of a group of enthusiastic local Burners. Regional groups work together on the concept and design of their effigy, and on the fundraising, building, installation and burn of their art piece. 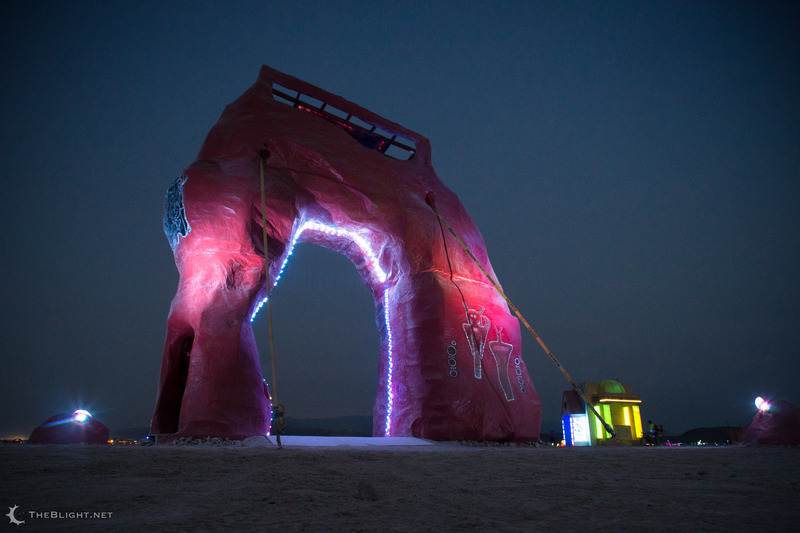 The sculptures’ placement in a ring around the Man suggests the progress of the Burning Man culture radiating outward from the main fire at our center, out into the larger world. The CORE culminates in a shared burn event on Thursday night. The CORE project was started in 2011 and Utah was honored to participate in 2011, 2012, & 2013. The Delicate Arch is one of the most recognizable of Utah’s many natural wonders: an uncanny span of rock rising from a bare massif, it looks as if it were created for a purpose, not eroded into shape by mere chance. This archway begs the question — is it a simple result of erosion, or perhaps a portal to other worlds? In the many canyons of Utah’s deserts are petroglyphs showing round-headed alien figures. Many speculate that our wild places have been visited for eons by the denizens of other worlds, and sightings of UFOs are common. People have always sought to tempt the visitors back; in ancient times canyon residents created that same rock art to honor them. 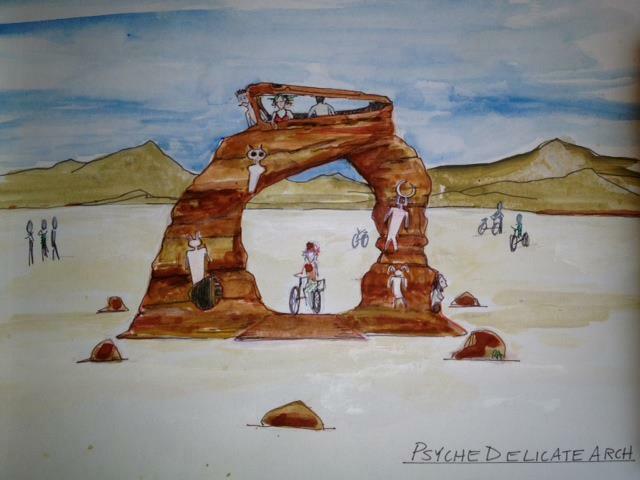 Incorporating art inspired by these petroglyphs, and maybe even some aliens, the PsycheDelicate Arch brings the history of the past as well as the mystery of the future directly to participants. Curious visitors can climb up to the top observatory deck for panoramic playa viewing or cross through the natural portal created by the Arch itself! Utah, the Beehive State, is a pretty damn patriarchal place – but The Secret of the Bees reminds us that bees have a Queen, not a king. The Bee Goddess doesn’t care about your ideology. 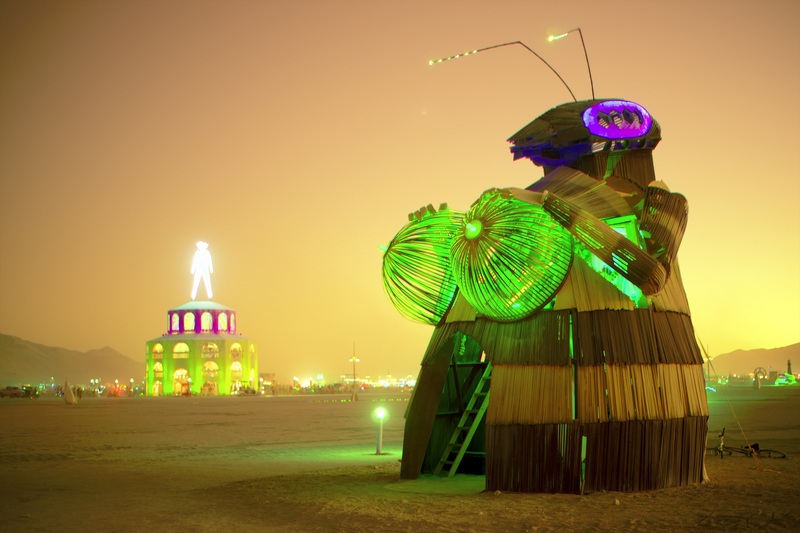 Her massive, hive-shaped body is big enough to house not only a recursive image of herself (with herself again reiterated within her own belly, a third level down), but also as many burnable bee idols as the Utah community can design and build to be attached to the inside of the structure. Her incredibly large breasts represent the milk-and-honey of the good life. In the post-Mormon counterculture, Utahns have kept the community spirit but ditched the patriarchy. The bees have a secret – and it’s that the Goddess never went away. She meets our gaze with multifaceted eyes of scintillating rainbows, and when we ask that human question, what are we doing here? A Hive seated on a lotus flower gazebo with a phoenix rising out of a pineapple oblongata in the center – what are we creating? 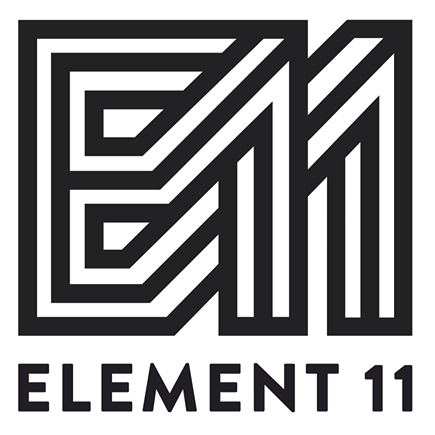 The Element 11 Regional Fire Arts Community of Utah presents the HATU CORE – filled with the art and creativity of more than 20 artists. An immersive art experience with forms drawn of multiple dimensions – painting, light, sculptures of wood, glass and metal, writings, faux art, performance art and more. What is HATU? 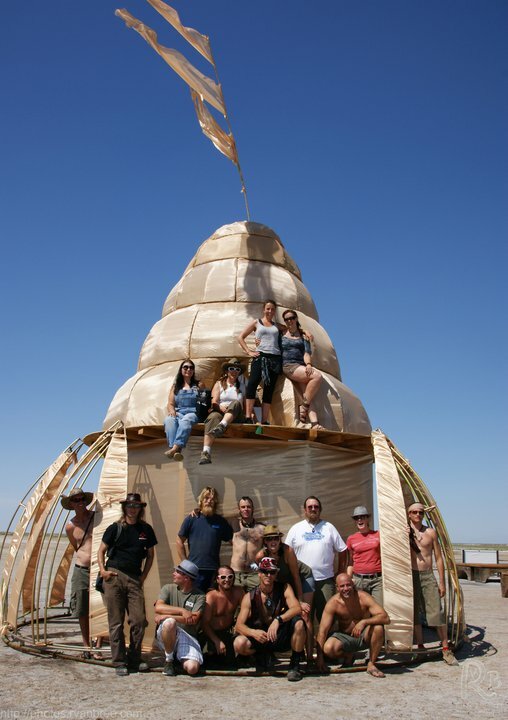 The Hive Alembic of Transformative Universalities! Enter the Hive Alembic, an open and limitless space where possible, imagined, envisioned worlds becomes manifest through synergy, community and open heart intentions! Conscious Creativity!! HATU CORE is comprised of re-claimable materials – all except for wood will be removed and re-purposed within our community prior to the effigy burn.